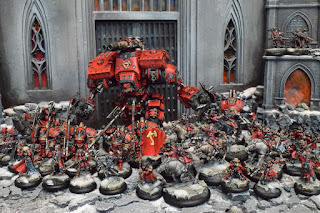 What's that noise? Straight out of her icy fortress, it's Sorscha and friends! 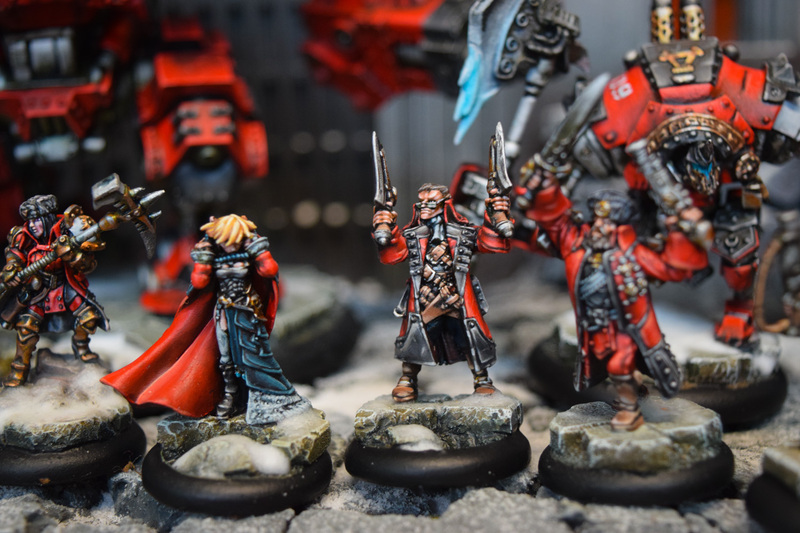 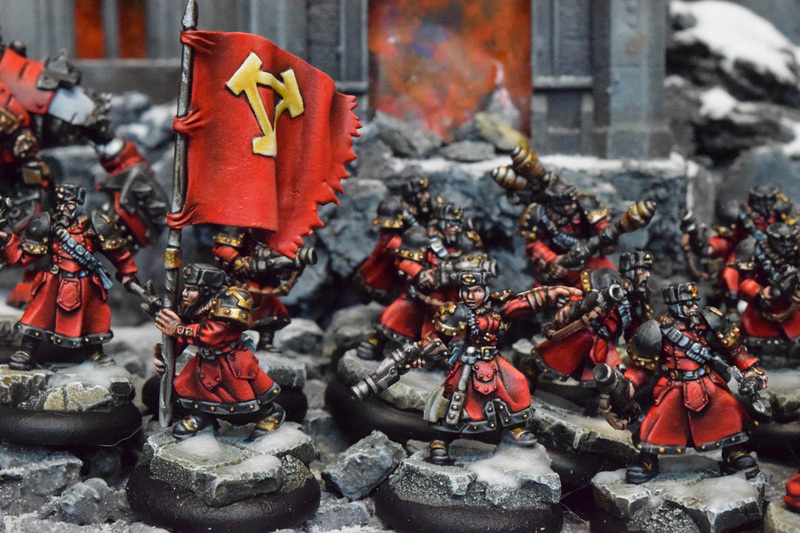 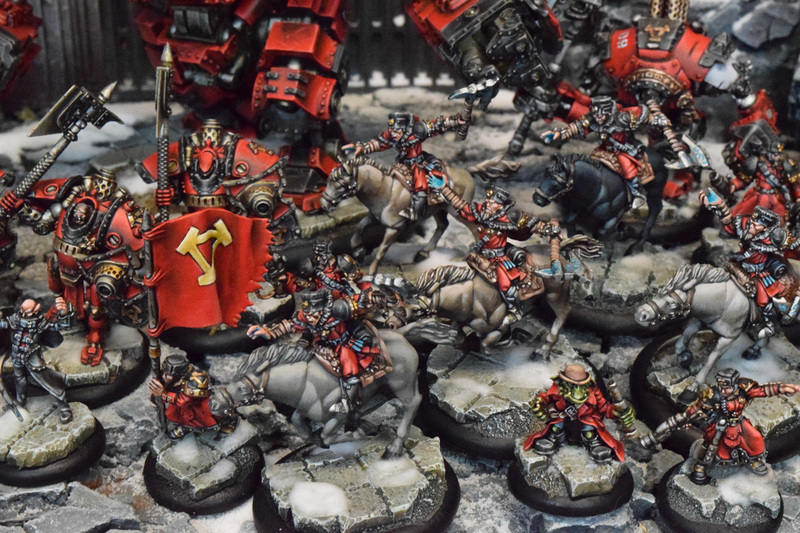 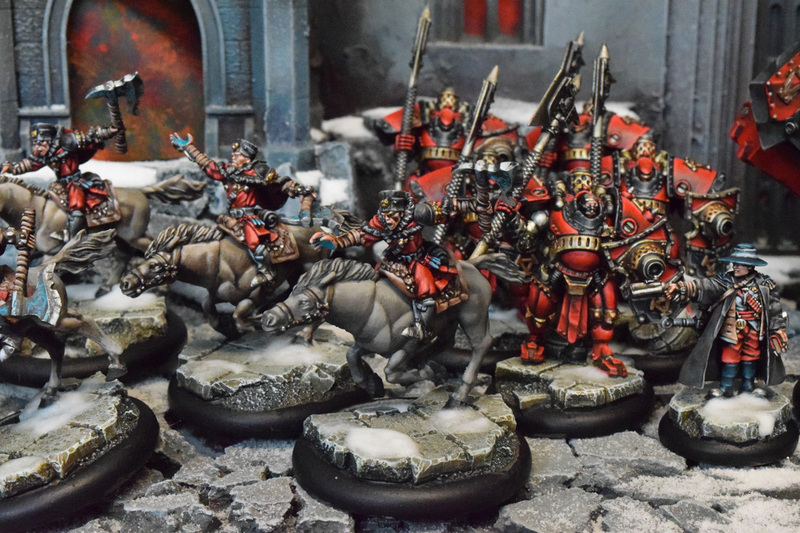 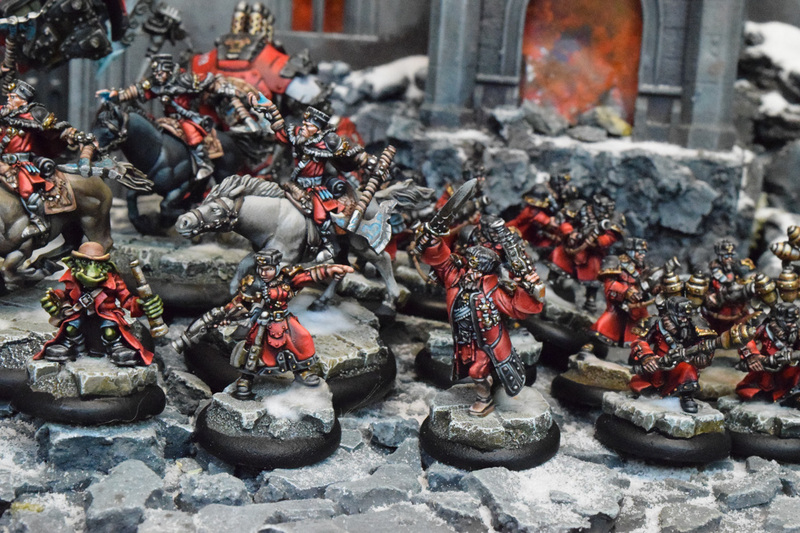 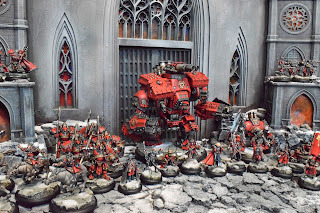 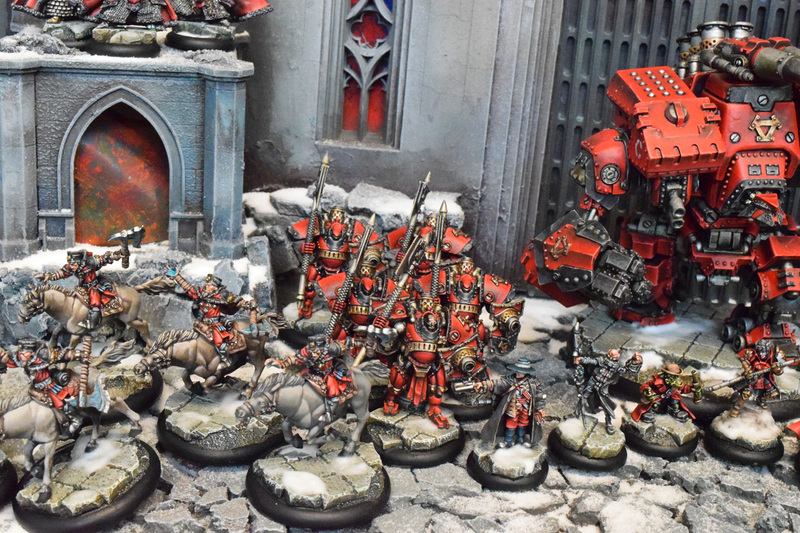 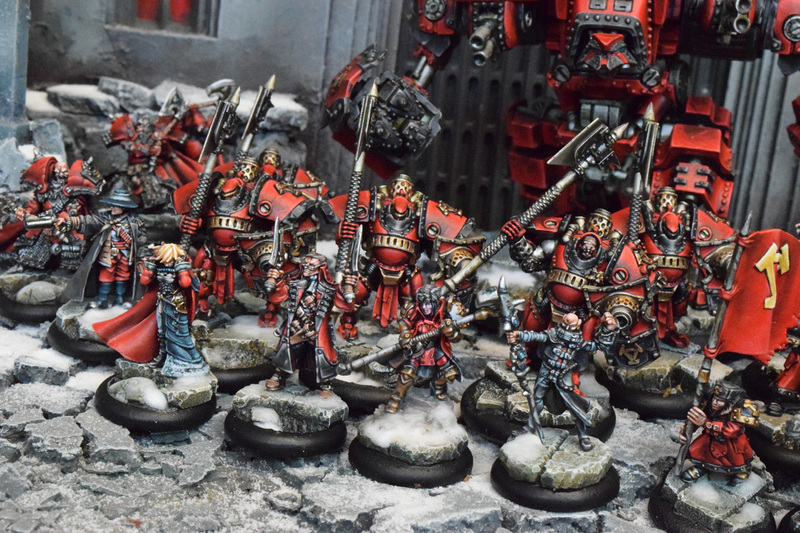 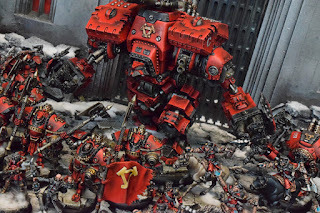 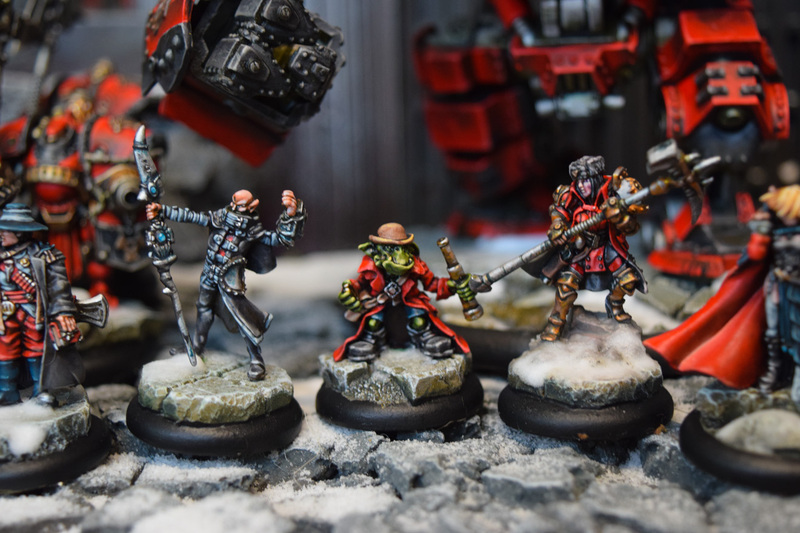 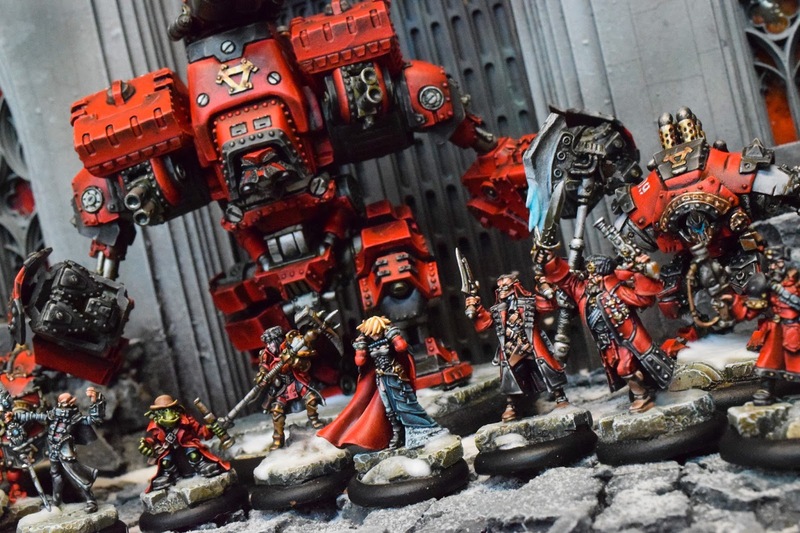 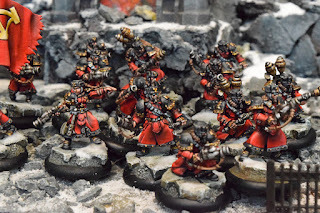 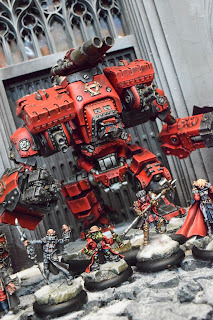 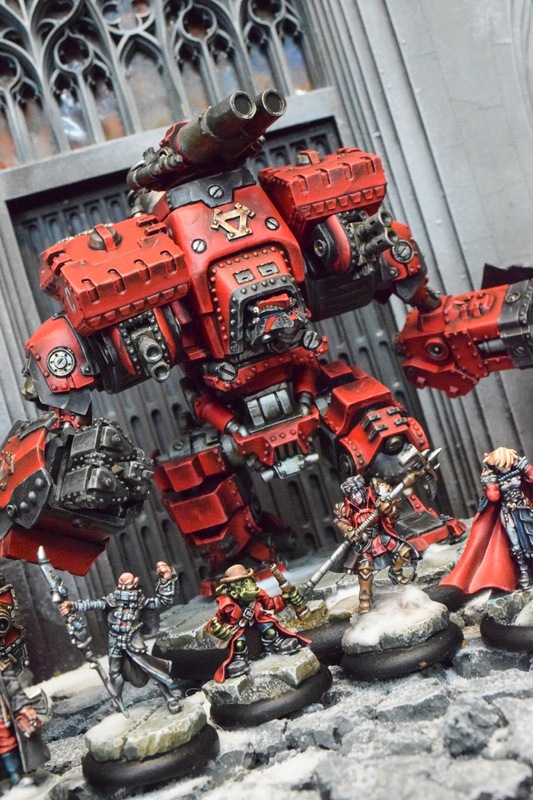 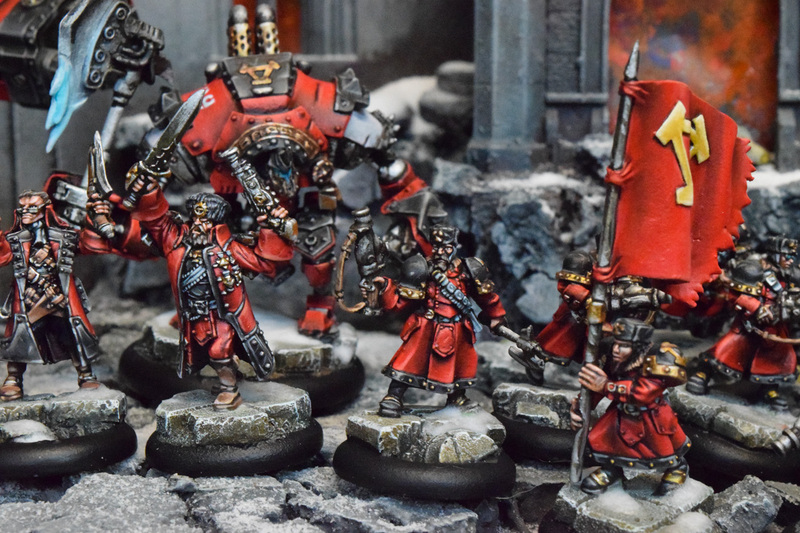 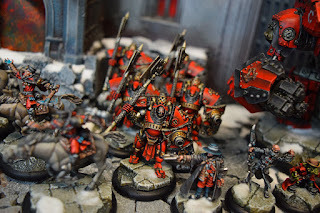 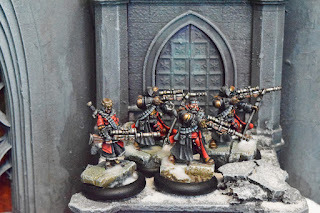 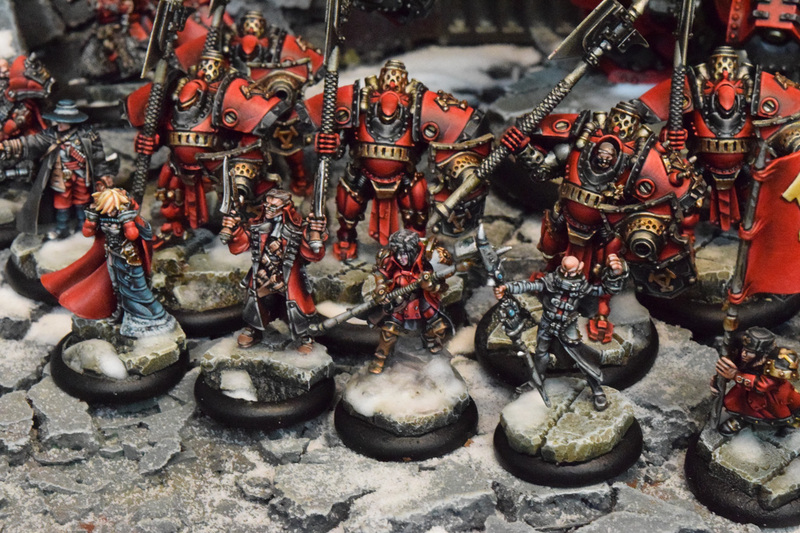 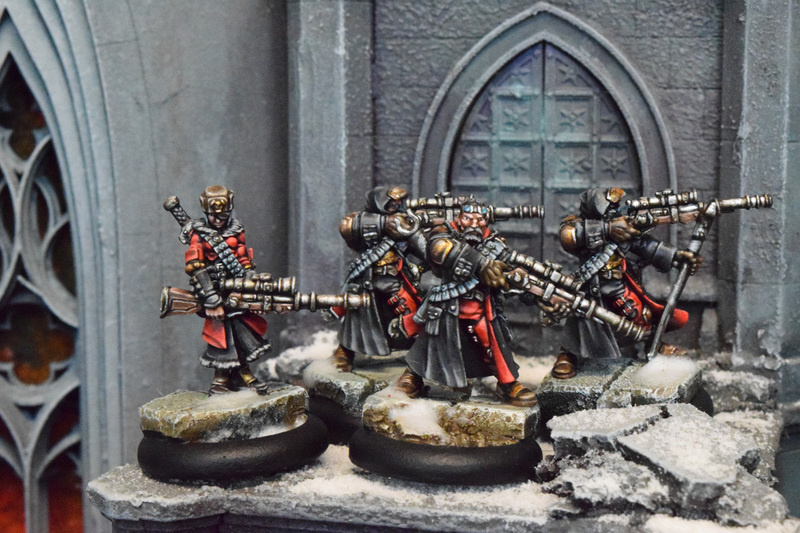 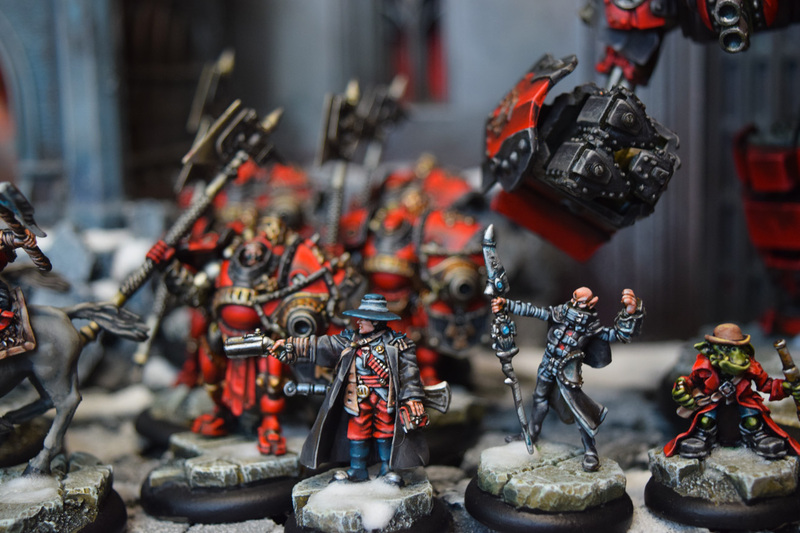 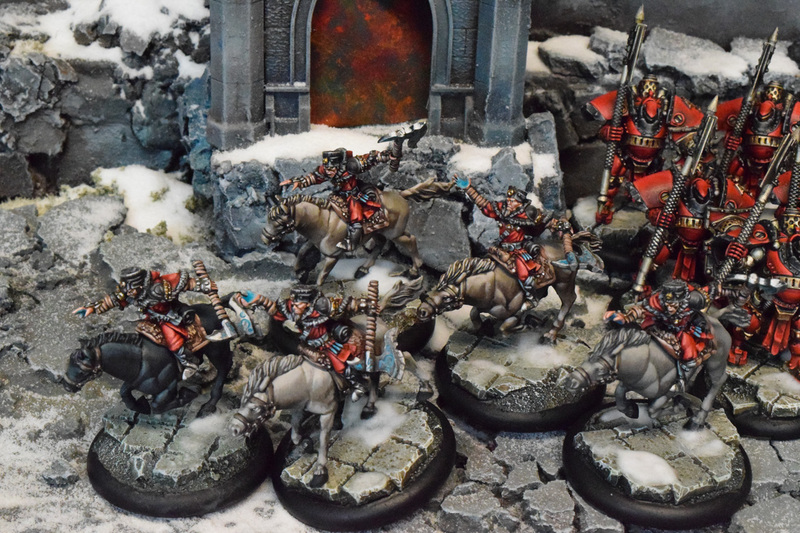 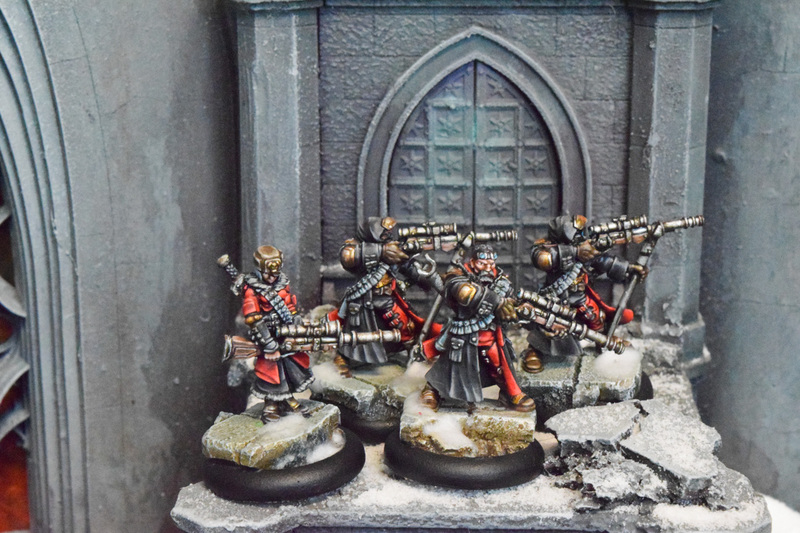 Brand new Khador army commission and a with a little bit of everything big and small. 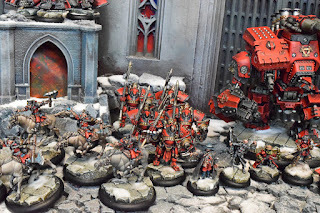 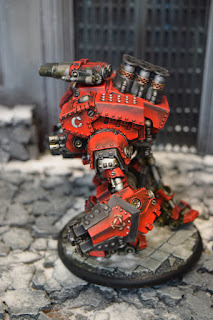 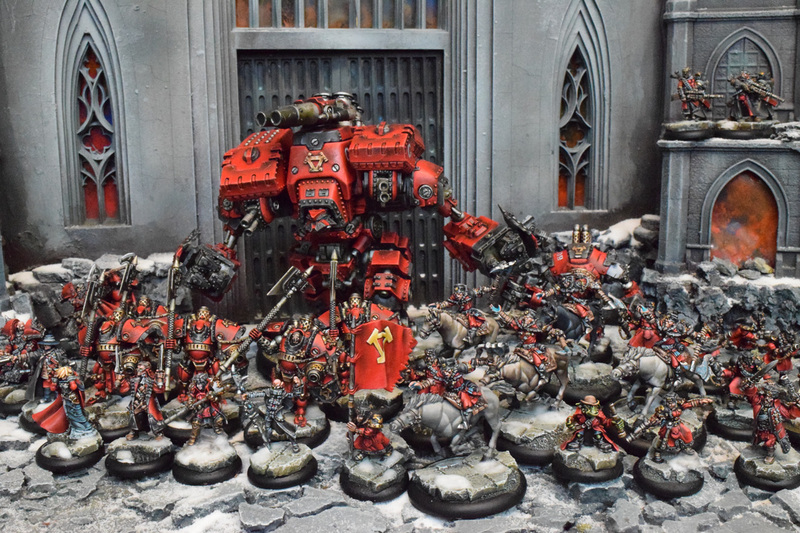 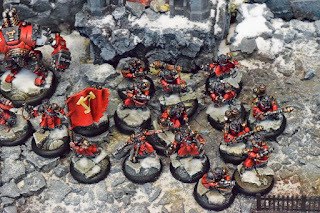 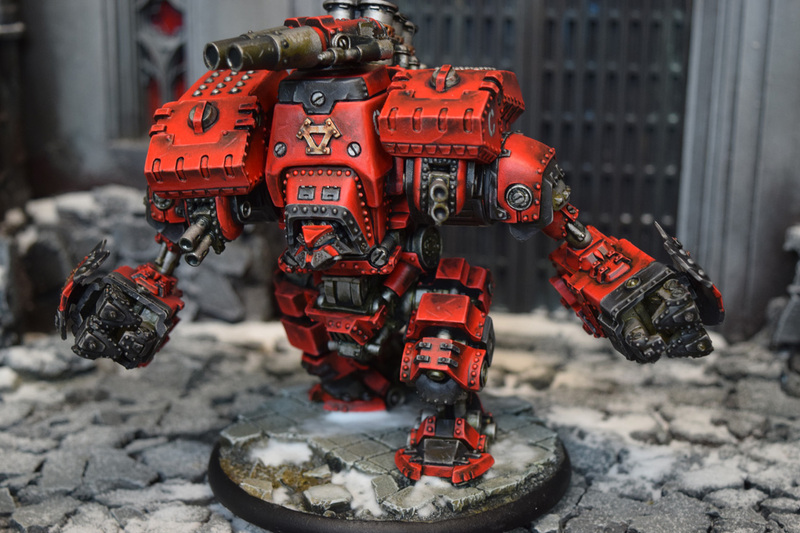 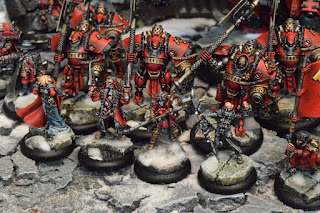 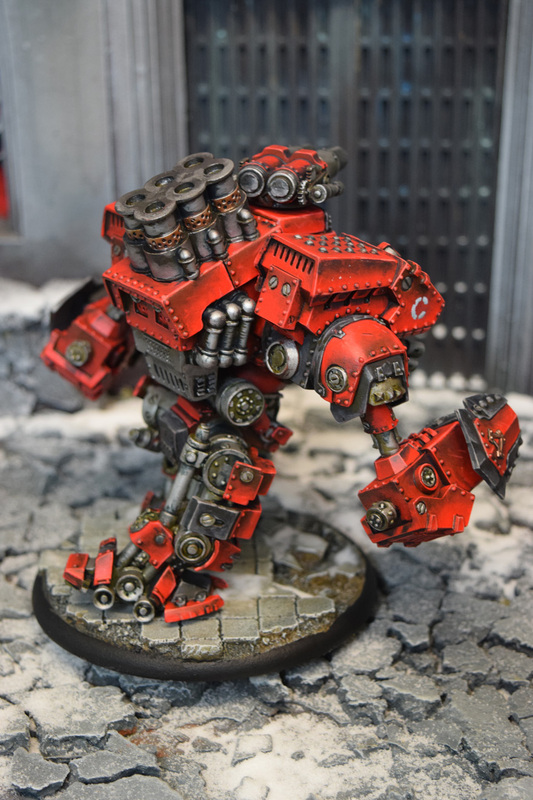 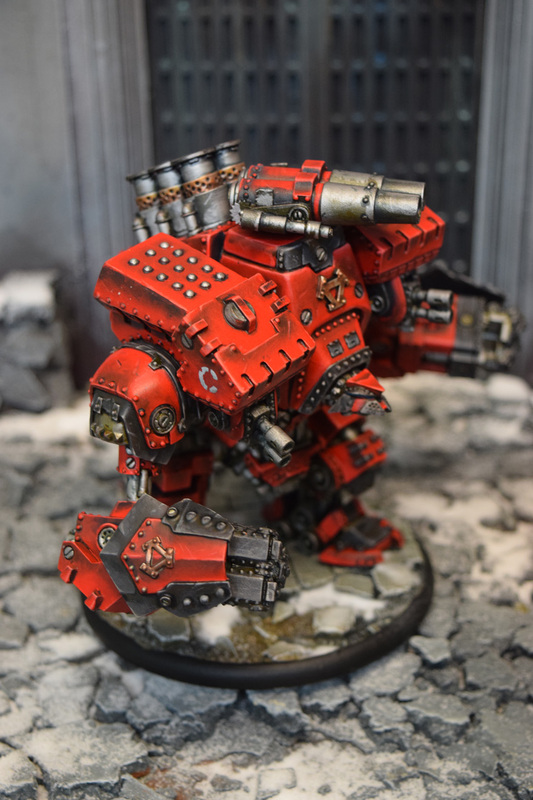 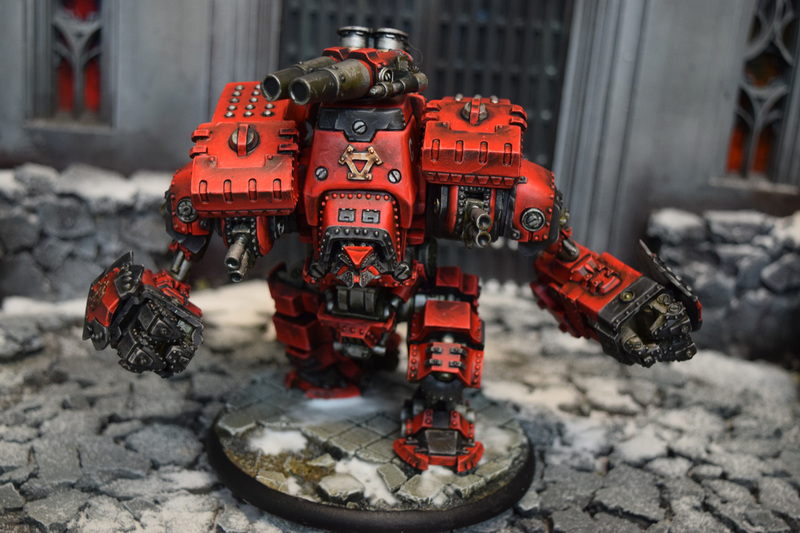 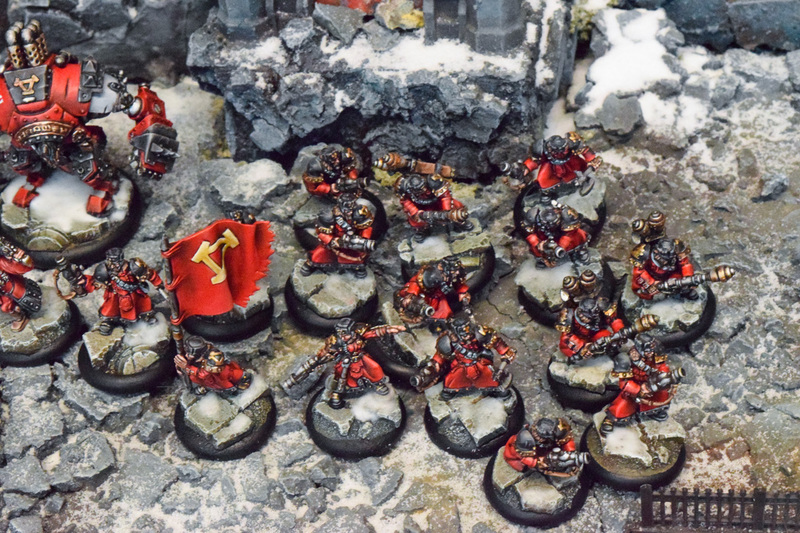 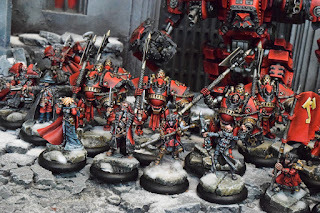 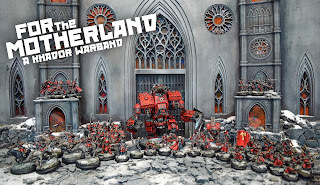 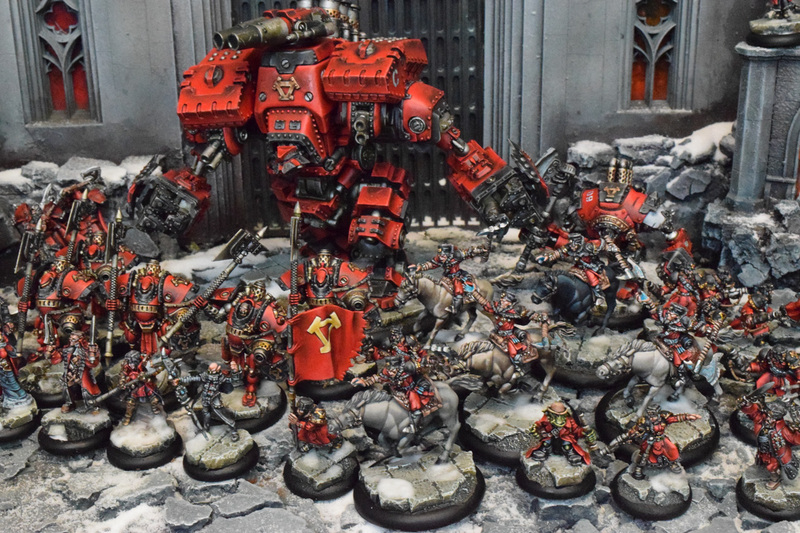 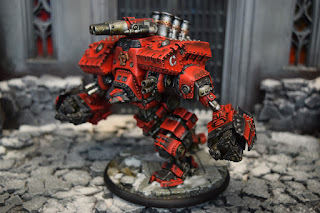 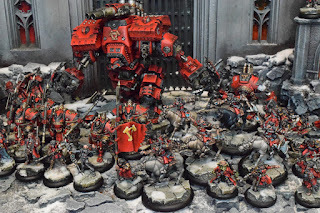 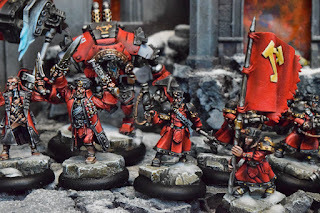 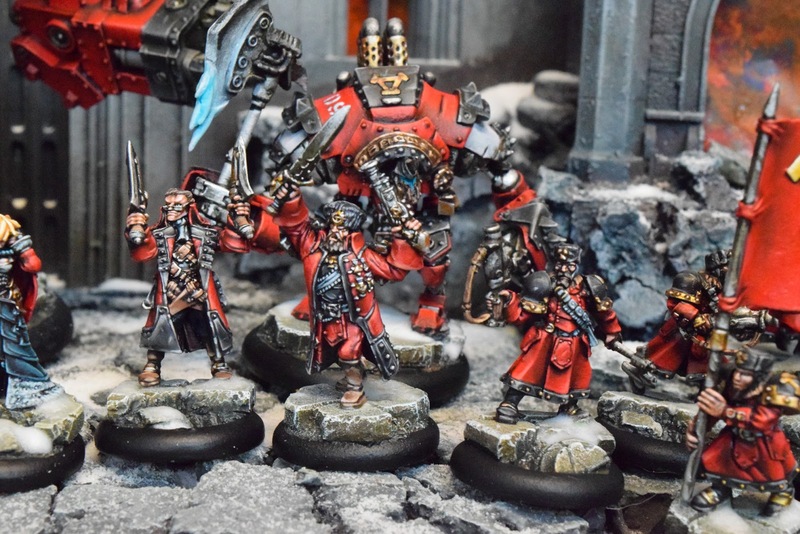 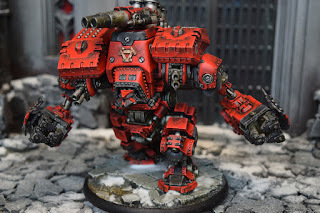 After this summer of blue projects a Khador army was a nice change of pace, and I love painting red. 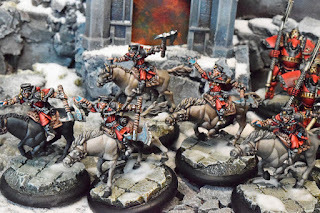 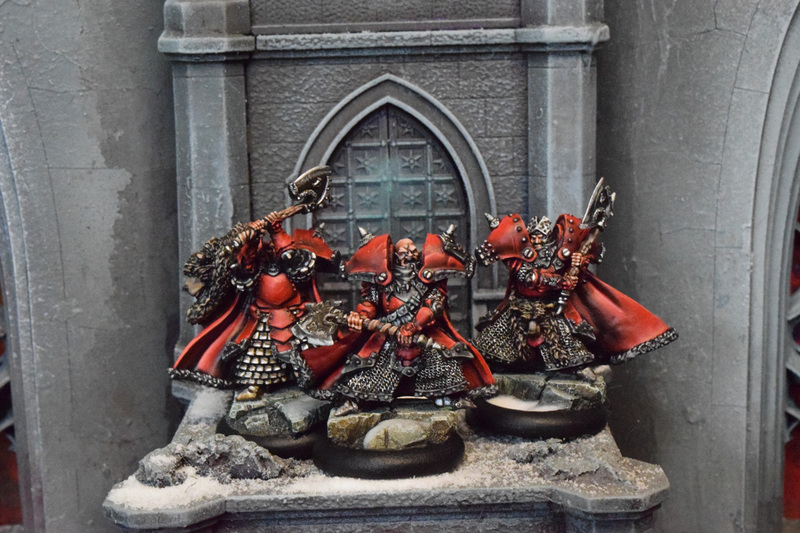 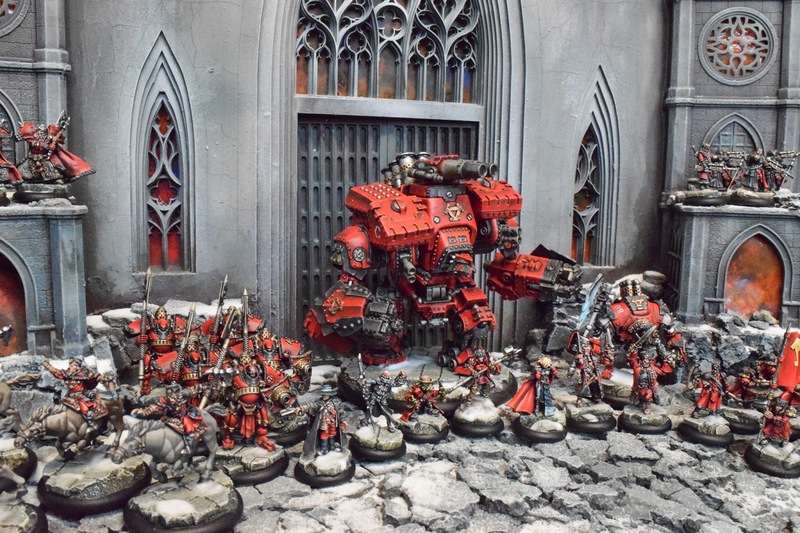 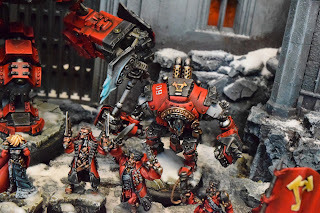 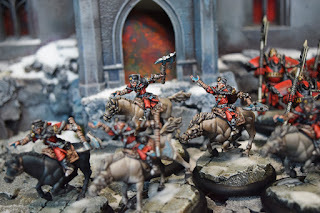 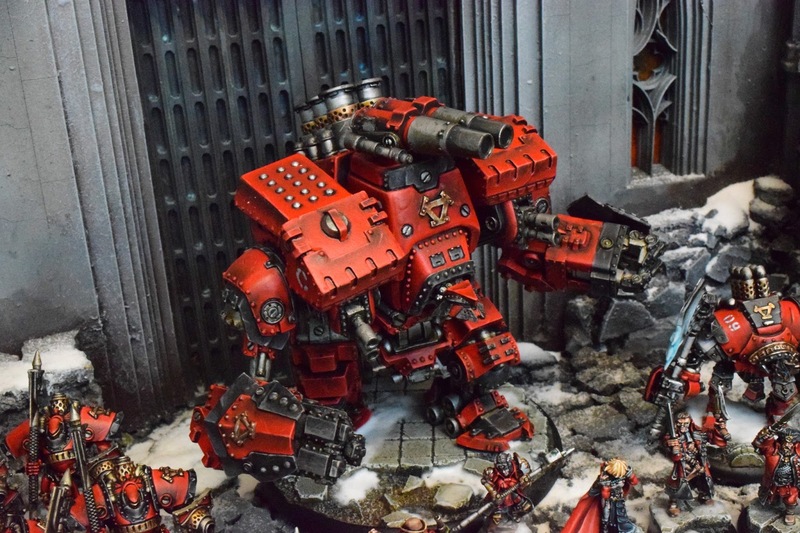 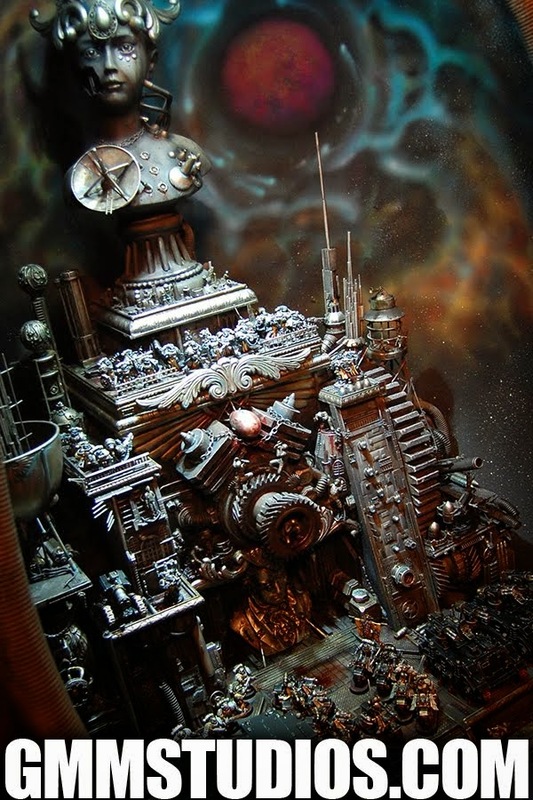 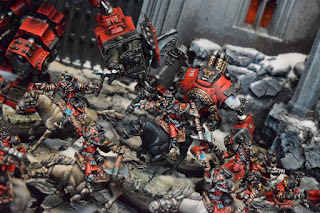 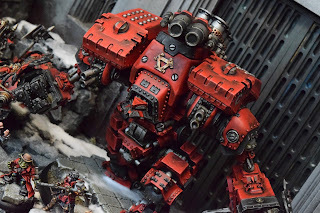 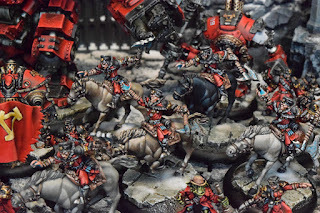 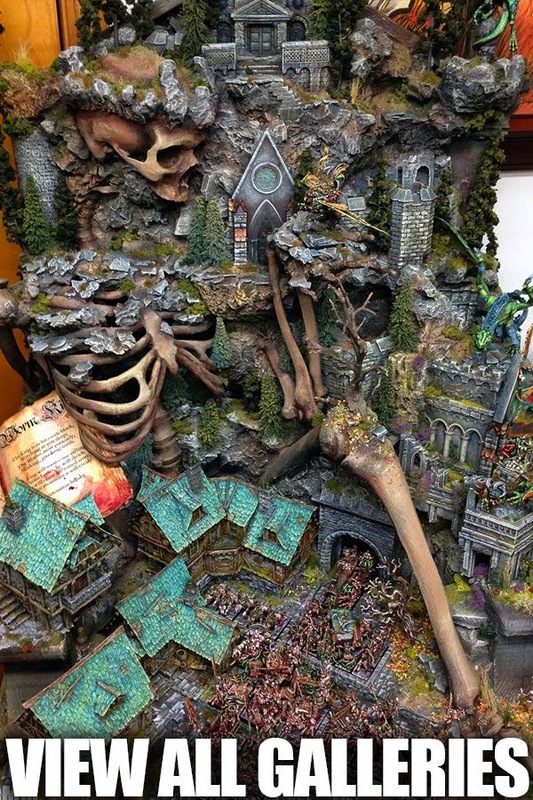 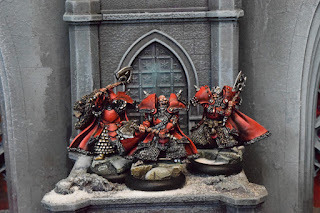 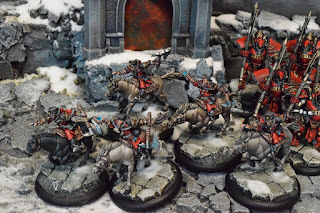 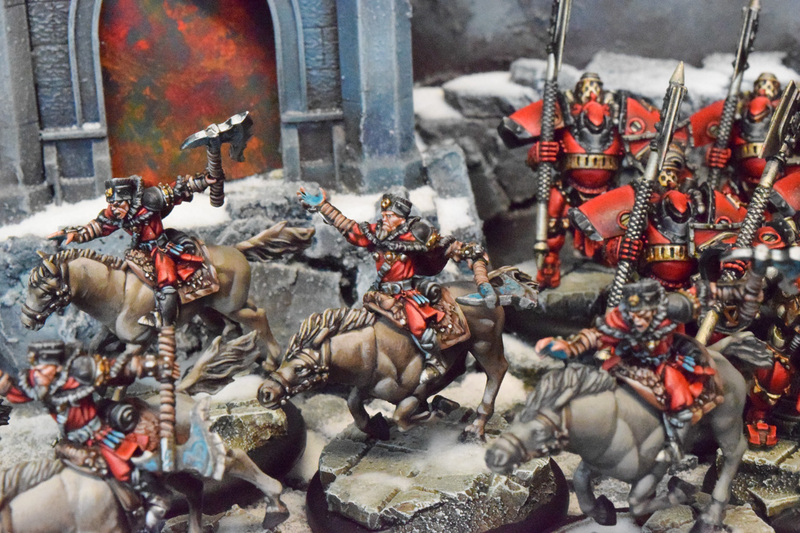 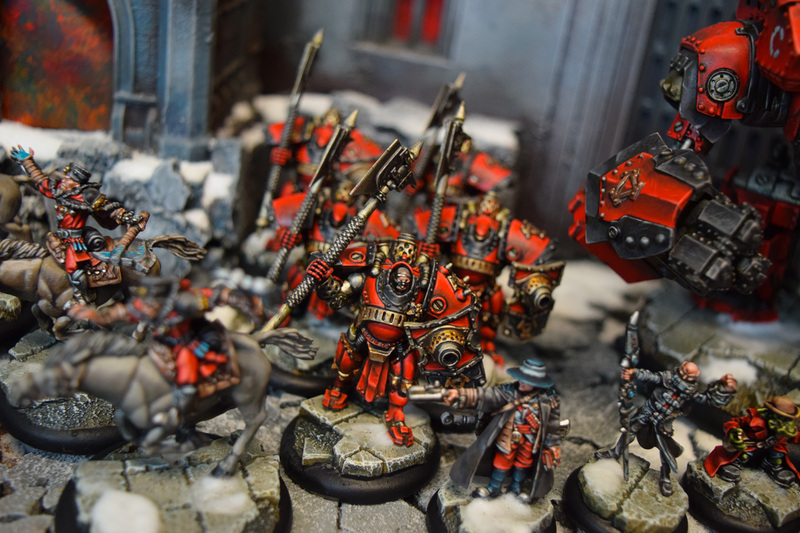 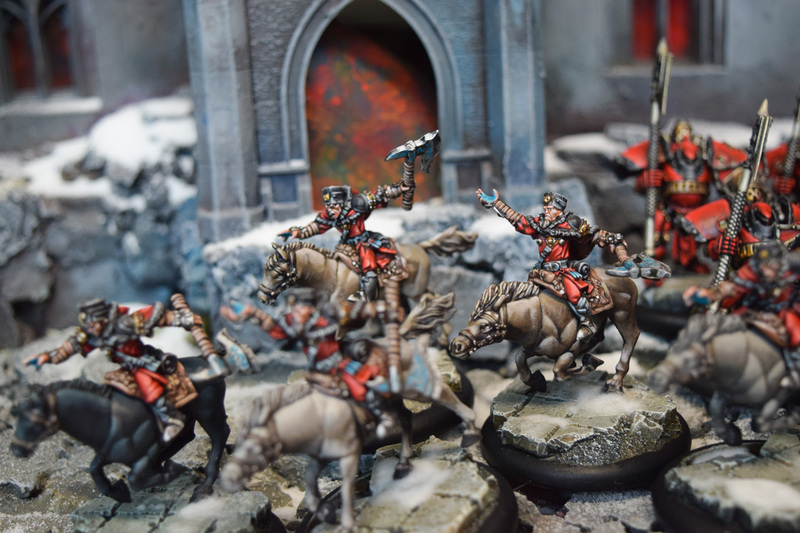 A nice variety of models in size and sculpt as well, with the solos blended in with the traditional scheme making the whole thing wrap together nicely in the overall.